Lakeside Hammers Speedway are delighted to launch their new Junior Hammers Trackside Club for the 2018 Championship season. 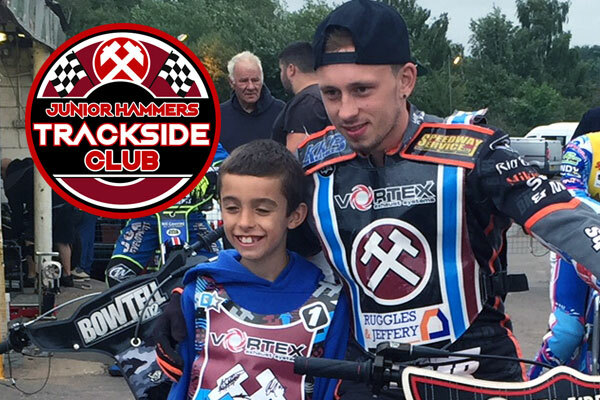 As a club, we passionately believe in providing a race night experience to all fans at The Raceway, and the Trackside Club, which forms part of the successful Community Programme, will provide a range of initiatives to enable Young Hammers get even more involved in the action! The Hammers Commercial Manager Russell Keetch commented” It is the young supporters that are the future fan base of the club and it was imperative that we as a club provide an opportunity for our young fans to be a part of a collective initiative with both the riders and the management. To download an application form, visit the Trackside Club page here.